These cases from STR8 Case were clearly made with the safety of your glass in mind - not only does this case sport a plastic exterior for superior piece protection, but this extra deep carrying case comes with three layers of foam for extra coverage. 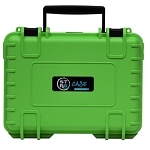 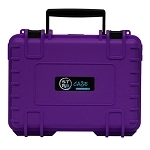 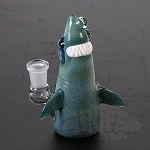 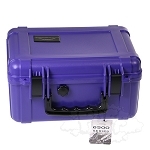 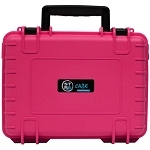 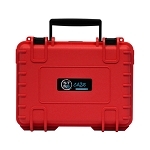 This case includes pick and pluck foam so that you can create the best-fitting protection for your piece! 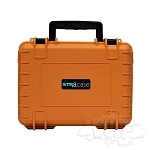 STR8 Case Blue 10" W/ 3 Layer Foam Interior 9.7" x 6.9" x 6"
STR8 Case Black 10" W/ 3 Layer Foam Interior 9.7" x 6.9" x 6"
STR8 Case Grey 10" W/ 3 Layer Foam Interior 9.7" x 6.9" x 6"
STR8 Case Red 10" W/ 3 Layer Foam Interior 9.7" x 6.9" x 6"
STR8 Case Purple 10" W/ 3 Layer Foam Interior 9.7" x 6.9" x 6"
STR8 Case Pink 10" W/ 3 Layer Foam Interior 9.7" x 6.9" x 6"
STR8 Case Green 10" W/ 3 Layer Foam Interior 9.7" x 6.9" x 6"
STR8 Case Rasta 10" W/ 3 Layer Foam Interior 9.7" x 6.9" x 6"
STR8 Case Teal 10" W/ 3 Layer Foam Interior 9.7" x 6.9" x 6"
STR8 Case Yellow 10" W/ 3 Layer Foam Interior 9.7" x 6.9" x 6"
STR8 Case Tangerine Orange 10"
STR8 Case Black 10" W/ 2 Layer Foam Interior 9.8" x 7" x 3.7"
STR8 Case Grey 10" W/ 2 Layer Foam Interior 9.8" x 7" x 3.7"
STR8 Case Purple 10" W/ 2 Layer Foam Interior 9.8" x 7" x 3.7"
STR8 Case Blue 10" W/ 2 Layer Foam Interior 9.8" x 7" x 3.7"
STR8 Case Green 10" W/ 2 Layer Foam Interior 9.8" x 7" x 3.7"
STR8 Case Pink 10" W/ 2 Layer Foam Interior 9.8" x 7" x 3.7"
STR8 Case Rasta 10" W/ 2 Layer Foam Interior 9.8" x 7" x 3.7"
STR8 Case Red 10" W/ 2 Layer Foam Interior 9.8" x 7" x 3.7"
STR8 Case Teal 10" W/ 2 Layer Foam Interior 9.8" x 7" x 3.7"
STR8 Case Yellow 10" W/ 2 Layer Foam Interior 9.8" x 7" x 3.7"
STR8 Case Tangerine Orange 8"